​Nick trained in Cambridge and London in the 1980s and became a fellow of the Royal College of surgeons in 1989. His general orthopaedic training was at the Royal National Orthopaedic Hospital Stanmore and the Royal Free Hospital in Hampstead. 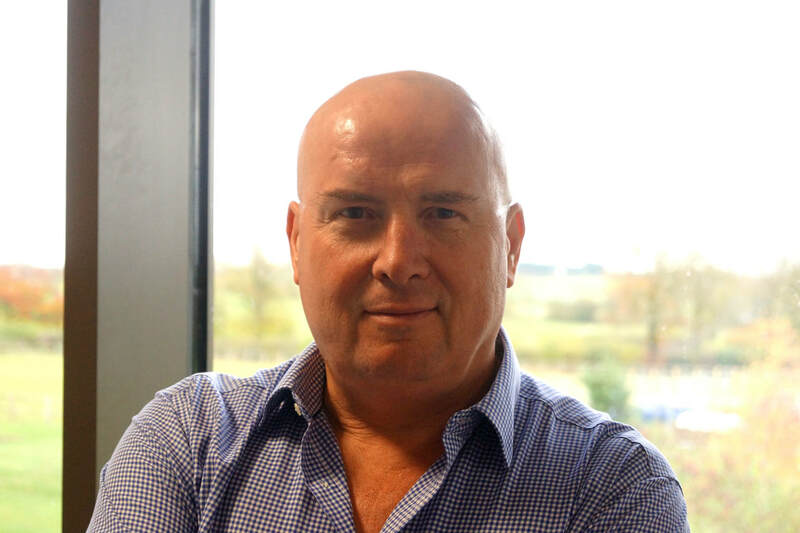 His interest in spinal matters grew as he progressed through his training and he completed a formal Spinal Fellowship in 1995 prior to being appointed as a consultant at Northampton General Hospital in 1996. From 1996 to 2002 he developed his specialist interest in spinal conditions and from 2002 onwards became a full-time spinal specialist. Since then he has run a very successful private spinal practice in Northamptonshire. From early in his career Nick has taken a very significant interest in professional and patient education and he has widely published and lectured in the UK, Europe and worldwide. He is the Spine Specialty Editor for the Bone and Joint Journal and he is a member of the Associate Editorial Board of the European Spine Journal. Since 2012 he has been the honorary treasurer of the United Kingdom Spine Societies Board (www.ukssb.com) and has had responsibility for co-organising BritSpine, the major biennial multidisciplinary spinal conference in the UK. When EMS Ltd moved to the Chris Moody Centre an opportunity arose to create a multidisciplinary forum for therapists to be able to discuss complex spinal cases in an open and collaborative fashion. This is the Therapist MDT that is held every three months and is regularly attended by more than 20 practitioners including physiotherapy, osteopathy, chiropractic, Pilates and exercise professionals and massage therapists. Practitioners who wish to attend and contribute to the Therapist MDT are very welcome to contact the EMS team to register interest. ​Chris qualified as a physiotherapist in 2000 and has worked extensively in the private environment since 2004, after he left the NHS. He joined EMS ltd in January 2009. Chris splits his time between East Midlands Spine Ltd, where he works as a clinical researcher alongside Mr Birch, and his own physiotherapy company, Team Rehab uk Ltd, which has clinics in both Moulton and Corby. He was initially brought on board to create educational material for the patients of EMS ltd on multiple platforms and media sources. At the time this included general anatomical information, pre and post operative booklets, rehabilitation tips and anything else that came to mind! Now that the clinic has moved primarily towards a diagnostic and rehabilitative outlook and away from surgery wherever possible, the focus of the educational material has changed and he is now working to bring these in line with the current clinical ambitions. In the eight and a half years that Chris has been employed at EMS he has presented both locally and abroad, been published as co-author in numerous journals and worked on multiple international projects ranging from European funded genetic investigations in to spinal disc degeneration (and continues to be co-chair of the post project committee) to the worlds first self stabilising exoskeleton for application with neurologically impaired persons. He has a particular interest in the development of platforms and software associated with next generation virtual reality and it future use in healthcare. Kathy joined EMS Ltd in 2008 and she has played a pivotal role in developing the organisational prowess that is a key feature of the success of the organisation and is central to the experience that clients have when they are treated by the team. She has worked as a medical secretary in the Northamptonshire area for longer than she cares to admit, but as a result has a full complement of secretarial and practice management skills as well as highly developed interpersonal attributes that she uses to overcome any challenges within the patient journey. The EMS Ltd team prides itself on making the experience of being treated at the clinic as effortless as is humanly possible and central to this process are the skills that Kathy is able to deploy. Pam is the practice manager and credit controller for EMS Ltd. She has fulfilled these roles since the company was created in the mid-2000's, mostly behind-the-scenes and until recently few EMS Ltd clients had met her. However, with the retirement of Helene Walker in 2015 Pam has moved into a more client-facing role.